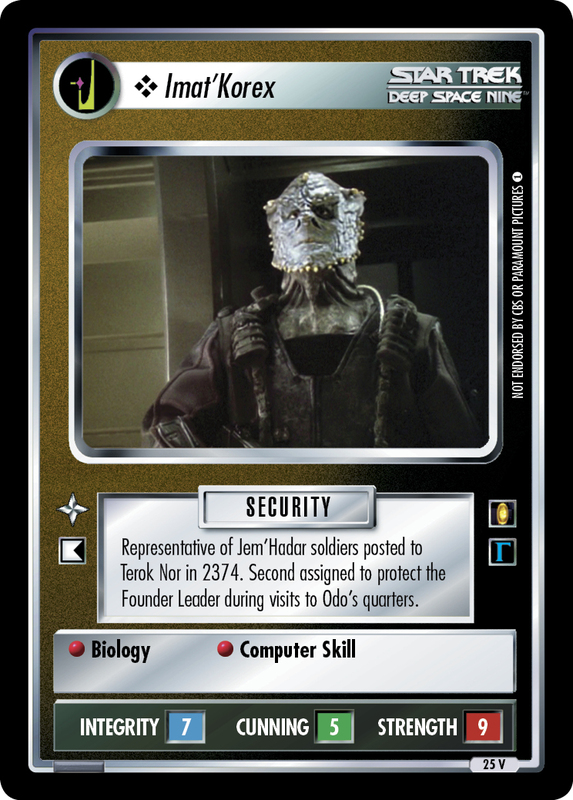 Representative of Jem'Hadar soldiers posted to Terok Nor in 2374. 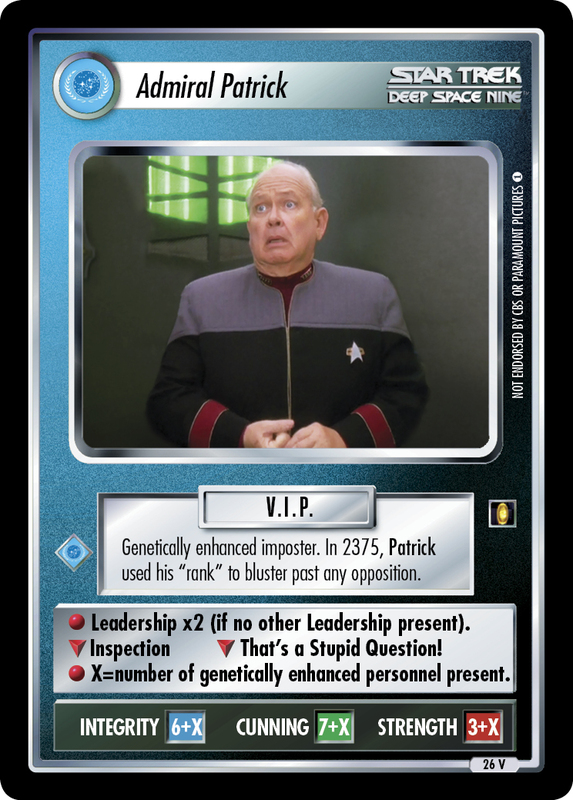 Second assigned to protect the Founder Leader during visits to Odo's quarters. 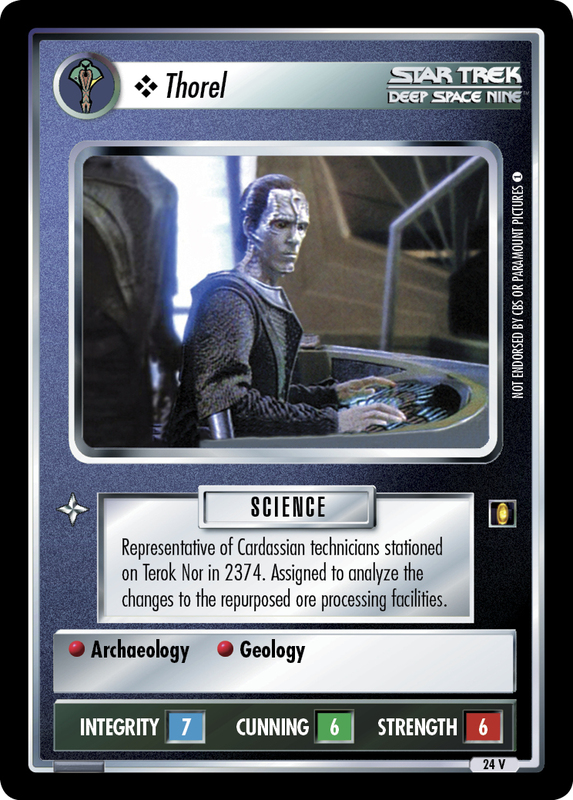 Image Source: Deep Space Nine: "Favor the Bold (Part 1)"